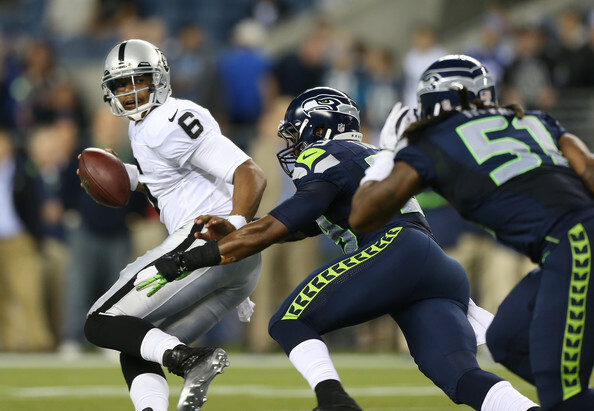 The preseason is finally over and the Raiders have finished 1-3 ending with a 22-6 loss in Seattle. Although the Raiders did lose to Seattle, I believe the Raiders did a lot of good things in Seattle. We finally got a chance to see starting defensive tackle Pat Sims and he clearly shined. Pat Sims, former Cincinnati Bengal, is well known for his ability to stop the run which is why the Raiders signed him. On Thursday night in Seattle, Sims was in the backfield getting to the QB it seemed like almost every play. But now with the preseason finally over, the question all week is going to be, we will start at QB for the Oakland Raiders Week 1 in Indianapolis: Terrelle Pryor or Matt Flynn? Arguments can easily be made for both, but for me, if the Raiders choose to, and I think they will, go with Matt Flynn my argument is this: Does Matt Flynn really scare any defenses in this league? Does Matt Flynn bring ANYTHING to the table that any second or even some third string QB does not have? The answer is NO. If the Raiders decide to go with Terrelle Pryor, defenses will have to adjust their style of play for his ability. The Raiders are set to play the Indianapolis Colts this upcoming Sunday at 1:00pm EST, the Raiders are already set at 10 point underdogs and deservingly so. The Raiders have yet to prove that their pass defense is anything but ‘fixed.’ The Raiders rush defense as a unit actually performed better than the Raiders new look secondary. But we all know when playing against Indianapolis, the running game is now what you have to worry about, it is Andrew Luck, Reggie Wayne, and now former Raider Darrius Heyward- Bey. Charles Woodson, Tyvon Branch, Mike Jenkins, and DJ Hayden will be put to the test early this season that is for sure. 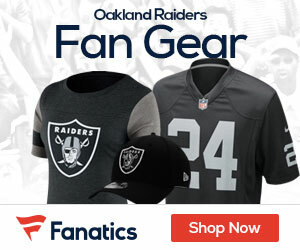 What do you think about the Raiders week 1 matchup? And who do you think will be under center for the Raiders? Tell me below!